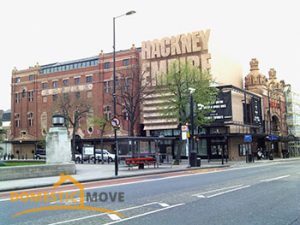 Situated in the northern parts of London, Hackney is a small borough which covers 7.36 square miles. Despite it relatively tiny size, it has a population of about 270.000 and a density rate of 37.000 people per square mile. The borough is home to a large number of internationally known buildings, monument, parks and entertainment venues. It is also the location of some of the city’s most prominent residential and commercial districts and today we will present some of them to you. The area of Hackney Marshes, E10, lies in the eastern parts of the borough at exactly six miles from the well-known junction of Charing Cross. It is one of the few London districts which hosted the 2012 Summer Olympic Games and today a large portion of the Olympic Park is located in the area. The Hackney Marshes a grassland after which the district is named is beyond any doubt the most famous landmark of the area. It spreads over 136 hectares and is one of the city’s most visited green spaces. The district is linked to the other parts of the English capital by a number of bus routes which pass through it frequently. Haggerston is a located district which shares common boundaries with the areas of Dalston from the north, Hoxton from the west, Shoreditch from the south and Cambridge Heath from the east. It has a population of over 10.000 people and lies at approximately four miles from Charing Cross. 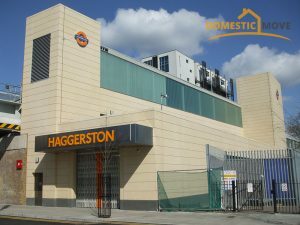 The Haggerston Pool is perhaps the most famed structure in the district. It was opened during the early 20th century and designed by renowned British architect, Alfred William Stephens Cross. In 2009, the pool was the subject of a major renovation project with cost an estimate of £5 million. Haggerston School isn’t only one of the best educational facilities in the area but also a local landmark. It was established during the mid-1960s and was designed by celebrated Hungarian modernist architect, Ernő Goldfinger. The Bridge Academy is another high profile school which is situated in Haggerston, E2. Hackney Wick is a district which lies in the south-eastern parts of the borough at about six miles from Charing Cross. Just like the above mentioned area of Hackney Marshes, it is the location of a portion of the London Olympic Park. The district is known for its industrial character as during the 19th century and early 20th century was one of the city’s largest manufacturing zones. Since then, the area has undergone some drastic changes and is currently being redeveloped by the local authorities in order to increase the local quality of life. Hackney Wick, E9, is connected to the other parts of London by its own railway station. The transportation hub was opened in 1980 and sits on the North London Line from the London Overground Network. It provides transportation services to over two million people on a yearly basis.